Not long ago a customer asked us to make leather presentation binders to house their library of film scripts. 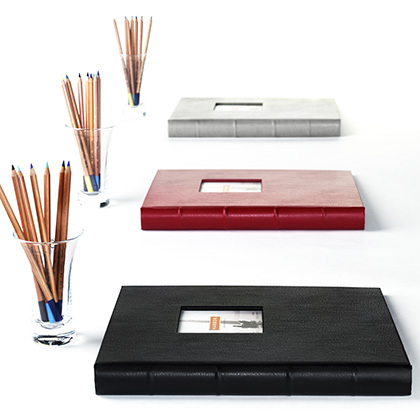 We liked the result so much we decided to create a line of presentation binders of our own. Crafted with the same archival materials and attention to detail as our albums and organizers.